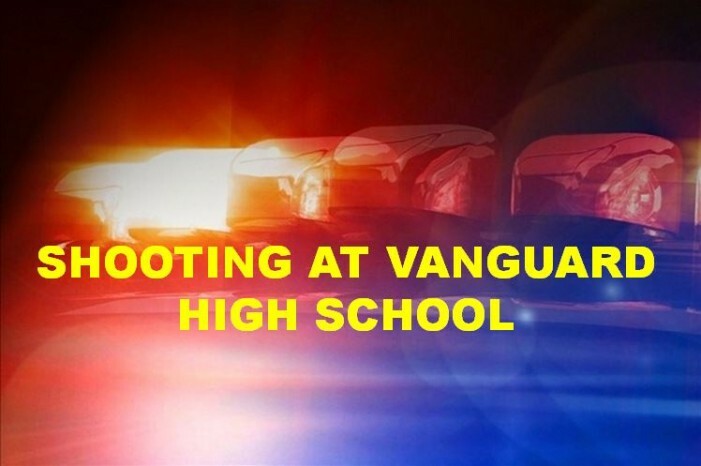 Ocala, Florida — Ocala police said two people were injured at Vanguard High School Friday night after someone opened fire at a basketball game. A 14-year-old was shot in the arm, and a 19-year-old was cut by flying glass during the incident. The juvenile is a student at Howard Middle School. According to police, two officers were working the basketball game when the shooting happened; however, the shooter(s) fled the area before the suspect(s) could be apprehended. Police said the juvenile was walking through the parking lot when she was struck in the arm by a bullet. The older female was in her car backing out of the parking lot when bullets hit her windows, causing glass to hit her arm. 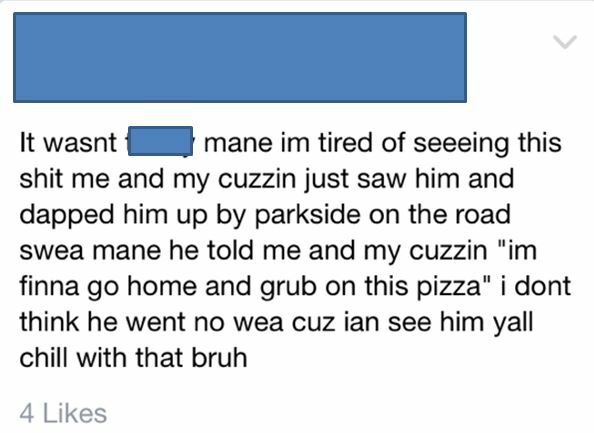 About an hour and a half after the shooting, someone posted a message on Facebook alleging they were the shooter. The message even contained the hash tag “#imissed (sorry).” The Facebook post was deleted immediately after it was posted. Oddly enough, there was a second shooting outside the city limits, after the Vanguard High School shooting. At this time, it is unclear which shooting the individual was allegedly taking credit for. 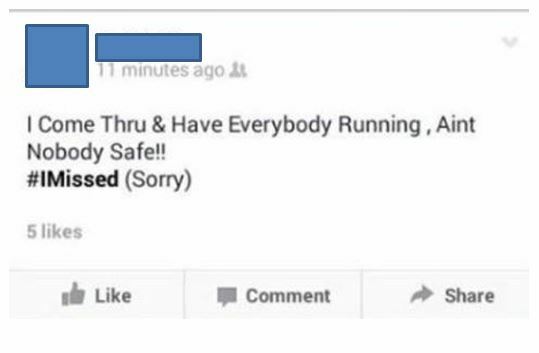 A short time later, a friend of the individual that posted the message wrote, “It was just lyrics to a song.” Another person wrote, “It was a joke.” Then, Ocala Post received the following Facebook post. The Facebook posts have many asking: where are the parents? The Ocala Police Department has possession of an unedited copy of the message. If OPD is able to verify its authenticity, Ocala Post will, at that time, release the shooter’s name and photo. The Marion County Sheriff’s Office is currently investigating the second shooting, in which no injuries were reported. It is not clear if the shootings are related. The victims of the Vanguard shooting were taken to the hospital with non-life-threatening injuries. Anyone with information about this shooting can call the Ocala Police Department at 352-369-7000 or Crime Stoppers at 368-STOP, text 274637 using keyword 368-STOP, or visit www.ocalacrimestoppers.com. Anonymity is guaranteed.